Photo: Grazalema street under construction. Eastern Mojave Vegetation Grazalema street under construction. We hiked up to the top of Grazalema. Near the top of the city, the street was being replaced. I thought the construction was interesting. Over the ground, they put a layer of wire. 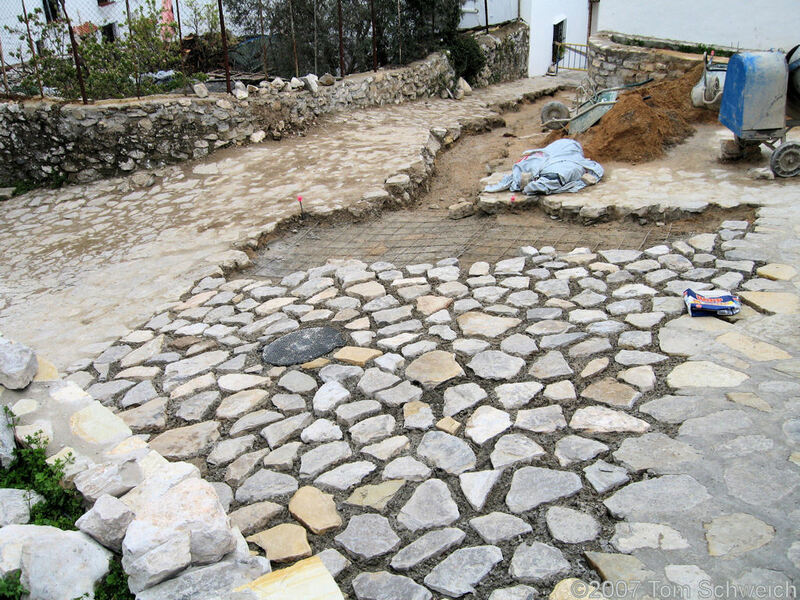 Then stones with rought mortar. Then I expect they will come back and place a finish coat of mortar.